America is privileged to field the best-trained military force in the world. However, some veterans find their skills don’t immediately transfer to a civilian job market. Others face severe challenges adjusting to civilian life, and many are coping with the debilitating effects of injuries and disabilities. He bounced around different cities for a few years, working both in fish & game industry in Alaska and as a security guard in Las Vegas, until he ended up back in San Diego. Unfortunately, due to the manual labor he had subjected his body to over the course of the last few years, Greg needed a hernia operation and couldn’t work. With no more income, he lost his home and was forced to turn to the streets. Health complications once again struck Greg a few years later; one night while sleeping on the streets, he tripped over a lip in the sidewalk and fell, breaking his elbow. Greg ended up in the hospital and while he was recovering, a social worker, realizing how difficult it would be for Greg to recover from surgery while living on the street, connected him to Interfaith’s Recuperative Care Program. “I never thought breaking my elbow would be a godsent, but it got me to Interfaith,” said Greg. 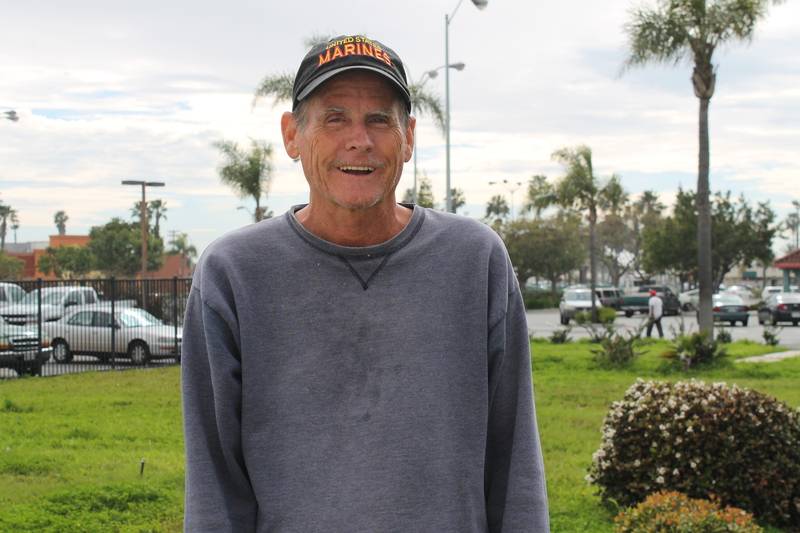 After recovering from his injury in the Recuperative Care Program, Greg was transferred to one of Interfaith’s transitional housing programs for veterans in Oceanside. With a roof over his head, Greg began focusing his efforts on securing employment; he started attending job trainings, resume workshops, job interview prep courses and more. Interfaith also helped him set up an email account, provided him with professional clothing for job interviews, and gave Greg bus passes so he had transportation to and from interviews. For more information on how you can help veterans like Greg, please contact Robert Adams, Chief Development Officer, at (760) 489-6380 or via email at radams@interfaithservices.org.